Here she is, my new sidekick. Selma. Be prepared to see her. A LOT. I did admire that purse on Sunday...actually I admired everyone's bags! What a beautiful outfit and I love the photos so pretty. YES! This is so, so, so perfect Jessica! 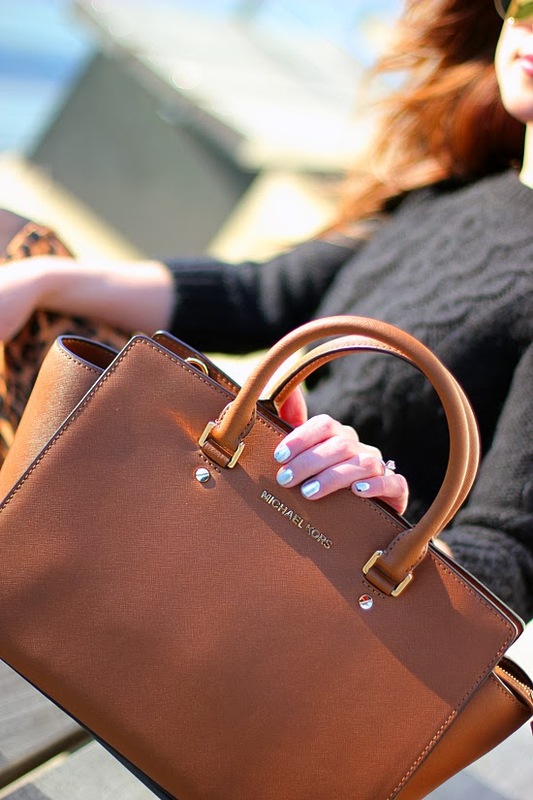 Loving this look - your new bag, the classy leopard print, and the metallic manni. Perfection. Lovely outfit and great pics! I have the Studded Selma in black and I take here with me all the time! It's a great bag! I love this whole outfit! That bag is wonderful! Ohhhh I love the big leopard pattern! And a boxy MK bag, doesn't get much betta! Oh I love that skirt - would never have guess F21! Great look for the office! Hi Selma, you're gorgeous as is your owner! Loving the skirt! Instant love...both the outfit and Selma! I freaking love that bag! I didn't like Michael Kors pieces for the longest time, but I'm coming around. The handbag collection is great. There's a midsize crossbody in red that I have my eye on. Black and leopard is gorgeous! Also, you photography has been great lately... Who's taking pictures of you now? Tips? Advice? 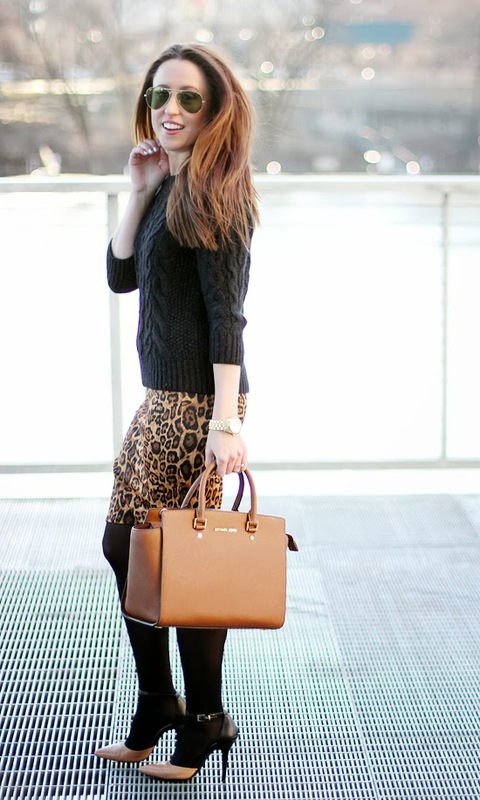 I was thinking today that I needed a longer leopard skirt and then you show up in one! I love it! Beautiful! And I absolutely love your hair in that third photo (although, it looks good in every photo)!